Bon Voyage and Bottoms Up! So if you follow me on Twitter, you may have noticed that I have been gearing up for a cruise! Brian and I are headed to Catalina, California and Ensenada, Mexico (via San Diego!) for a little five-day vacation. We leave this evening and we’re very excited! On the down side, this means no new recipes for about a week. On the up side, I will be eating many delicious things on the cruise and while in port, so I will come back with lots inspiration to share with you! I might even post some vacation photos. One thing vacation means is cocktails at fun times of the day…like breakfast (ha). With that in mind, I leave you with a divine recipe for a delicious Bloody Mary, one of our favorite cocktails. Combine one shot (or more, I don’t judge) vodka, a few shakes Worcestershire sauce, a few drops Tabasco, a few cracks of pepper, and few shakes of celery salt in pint glass. Fill with tomato juice (or V8 – I like the low sodium one), stir well to combine, and garnish with celery. Bottoms up! Quantities can be adjusted based on how spicy you like it! If you’re feeling lazy, like I will be this week, my favorite mix is Mr. and Mrs. T’s Spicy mix…I really recommended them, they taste just as good! 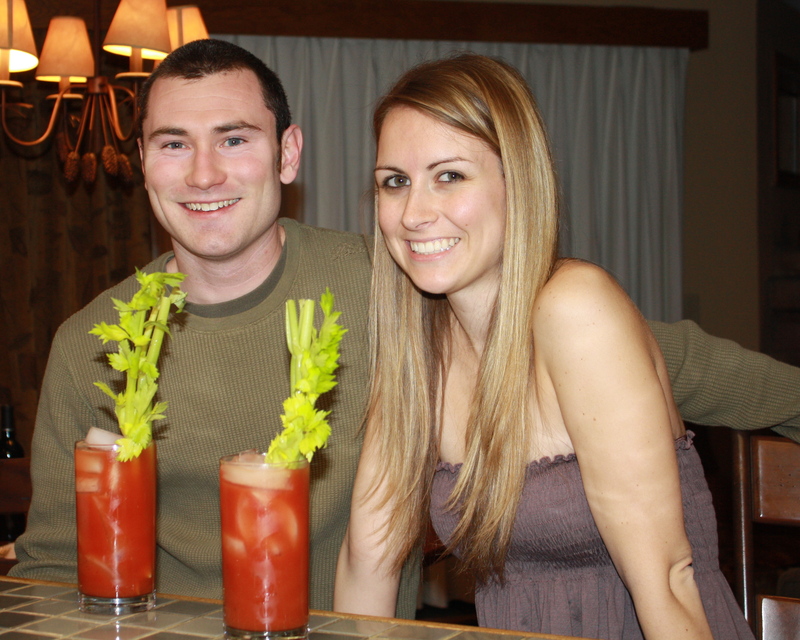 This entry was posted in cocktails and tagged bloody mary, cocktail, tomato juice, vodka by Laura Zolnoski. Bookmark the permalink.